A Servant in Fate/Extra who serves Shinji Matou. She is a pirate and self-proclaimed "villain" who wields pistols in combat... alongside ship-mounted cannons. 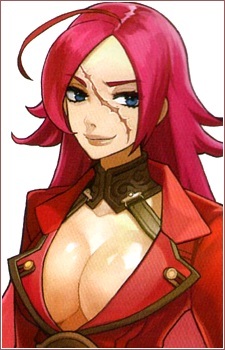 Her true Identity is Francis Drake. The person who accomplished a world circumnavigation and paved the way for England to become the champion of the Age of Discovery with its earnings. Also, the one who sunk the robust Spanish Invincible Armada and caused Spain - which was called "the Kingdom on which the sun never sets" - to virtually collapse.